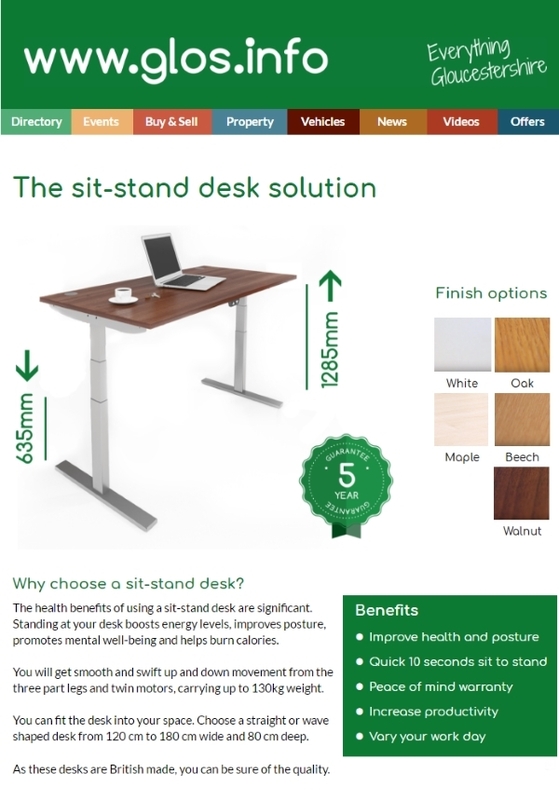 Why choose a sit-stand desk? 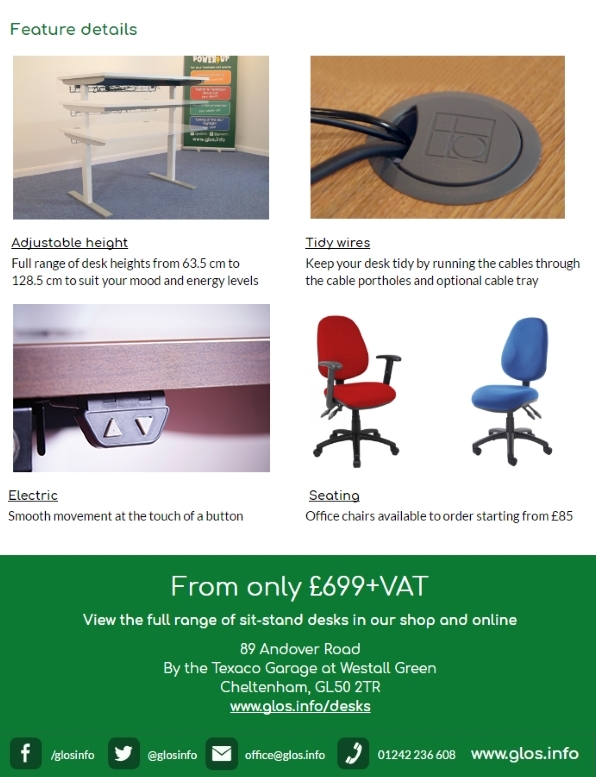 The health benefits of using a sit-stand desk are significant. Standing at your desk boosts energy levels, improves posture, promotes mental well-being and helps burn calories. You will get smooth and swift up and down movement from the three part legs and twin motors, carrying up to 130kg weight. You can fit the desk into your space. Choose a straight or wave shaped desk from 120 cm to 180 cm wide and 80 cm deep. As these desks are British made, you can be sure of the quality. FOR MORE DETAILS CONTACT US ON 01242 236608 and office@glos.info or come into the shop.